The power of groups cannot be diminished or missed. Simply put, many heads make light work … together with the power of vulnerability, the power of speaking your truth in a group of likeminded individuals and realising you aren’t alone. There’s one really big game changer and point of difference with Amanda’s Retreats and Workshops, her process that protects every individual from another person’s baggage. Ever been to a workshop or away on a retreat and come home feeling heavier than when you left? Amanda’s process and methodology is safe. Everyone’s energy is individually bubbled with Amanda’s unique energy therapy, which means empaths and sensitive souls do not get caught in an energy onslaught as people start to process their blockages and emotional trauma. Best yet, introverts no longer have to suffer through a healing journey with others. 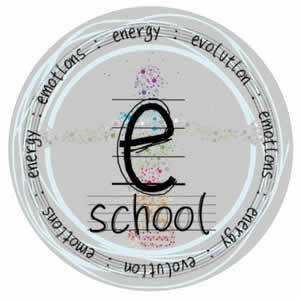 E-stands for emotions, energy and evolution. It’s time for new teachings to come into play and e-school is where you can go that is a safe space, free of judgement and full of respect for other people’s journeys. E-stands for emotions, energy and evolution. Unplugged stands for “I DON’T DO GROUPS THANKS VERY MUCH!” It’s the resource you subscribe to that provides you with energy readings that make you leap tall buildings in a single bound, and no one knows why. The greatest secret weapon to your emotional health is here. Join Amanda on the first Monday of every month to receive a heads up about what’s going to show up for you in the month ahead. This is the webinar to jump onto to give yourself a clear chance of preparing for what lies ahead. 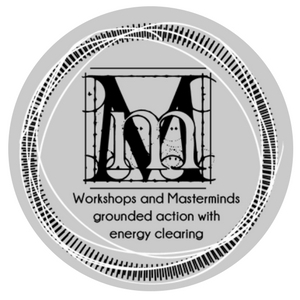 Manifesting Masterclass is your ticket to manifesting that is HEALING your old patterns versus trying to convince yourself that you are worth having your greatest desires. Just like your immune system, your ability to manifest can become depleted and even sick. To heal your manifesting abilities, to turn this part of your life around, you must heal the cellular memory that is stuck. The neural pathways that create your story around manifesting will also be hindering your progress. That’s why this Masterclass is the GAME CHANGER you’ve been looking for. Often the only way to have solid, quality, exceptional results is to physically leave your normal every day and go somewhere so far removed from everything that you are living so that you can truly focus on yourself, without feeling bad about it. Adulting is hard. It’s not that you want to get away from what is your life, it’s wanting some time out from the responsibility of your normal everyday life. You cannot truly focus on your emotional strength and wellbeing when you are giving so much of yourself away to those you feel responsible to and for. When you have jobs, partners, kids, family in the mixing pot as well as trying to adult, overwhelm can set in, build up and create havoc in a life that, well maintained, has a greater capacity to cope. Amanda specialises in gatherings for women, men, high vibrational healers and work teams. With 25 years of corporate team building experience across many industries, you can be assured of leaving one of Amanda’s retreats feeling renewed and on track.